Oi is Brazil's leading telecommunications company, formed 1998 as a result of deregulation. This week it has introduced a refreshed version of its visual identity. The Oi brand was originally created in 2002 by Wolff Olins. It was a relatively early example in the crop of dynamic logos that became popular in the '00s. The logos consisted of a the simple 'Oi' wordmark (Brazilian for "Hello") on flat yellow blobs of different irregular shapes. The new version replaces the yellow colour with three colourful gradients. The wordmark stays the same, but the shapes appear to be new. Altogether there are 70 different shapes that "reflect the different voices of the people". With three different colour gradients, that makes a total of 210 different logos, not counting the monochrome variations. The new logos are used as part of a design programme that has been phased in over time. Some elements that were already in use were the signature typeface (a modified version of Simplon) and a set of matching pictograms. Minsait is a new business unit within Spanish IT company Indra, launched in February. The new brand unites different business-oriented consultancies and solutions that were already part of Indra. It has been set up to address "the challenges posed by digital transformation to companies and institutions". The new brand was created by Interbrand in Madrid. This involved everything from strategy to naming and design. Minsait wants to capitalise on Indra's leadership in the field and focus on disruptive reinvention of its client's businesses to move into a digital-first environment. Starz is an American suite of premium cable channels, specialised in films and original TV series. It was launched in 1994 as a premium spinoff from another film channel called Encore. Starz was later expanded to more channels and would over time eclipse Encore. Yesterday, it was announced that the company would go full circle and rebrand Encore as a part of Starz. From April 5, the Encore channels will be renamed "Starz Encore". The entire line-up of 14 channels will feature new looks and new logos. Hollywood-based branding agency Troika helped develop the newish Starz masterbrand. It is built around fandom, with a focus on serving those who are fans of something. This is expressed through the brand positioning "Starz: Obsessable". One of the old giants of American industry, Alcoa (formerly the Aluminum Company of America) is about to be split in two. The Alcoa name will be taken by the upstream material extraction company, while the value-added processing business will be placed in a company with a new name. Last week it was announced that the new company would be called Arconic. At the same time, new visual identities for both Arconic and Alcoa were revealed. Both identities and the Arconic name were created by Landor Associates. The Arconic name is a combination of 'arc' (for "the arc of progress") and 'iconic' (for the company's iconic products). The new stylised A symbol borrows its shape from the old Alcoa symbol. The lines are interpreted by the eyes as a three-dimensional projection, but it is in fact something of an impossible figure. The old Alcoa symbol is a Saul Bass-designed classic from 1963, and you don't mess with those. It was given a slight a update in 1999, but has otherwise been unchanged for over fifty years. Landor's update frees the stylised geometric A symbol from the enclosing box. This change represents "a transformed and agile Upstream company characterized by out-of-the-box thinking". So Sofitel is a hotel brand from French hospitality group AccorHotels. It is positioned as the group's brand for affluent millennial and is described as a "bold, playful lifestyle brand that breaks traditional luxury codes with a designer focus". The brand was recently given a new visual identity, created by French agency W as part of their ongoing relationship with AccorHotels. Based on the brand positioning, W created a vibrant and playful brand. Each hotel has its own identity, associated with a famous designer. But overall, the brand should convey a feeling of "pulse", which is evident in brochures and other applications in the form of regular patterns and disrupted typography. Lots of interesting new identities were revealed last month. This included two big cultural institutions in New York, two Olympic bids, one of the major TV channels in Britain and a certain ridesharing app. When American cable channel TV One relaunched in early February, it did not just mark a shift in the channel's programming and position. It was also a sort of culmination in the merger between the two companies responsible for creating that new look. Those companies were branding agencies Eyeball and Modus Operandi, and the TV One rebrand was their first common project to be made public. I caught up with Adrian Bailey, creative director from Modus Operandi, to talk about the TV One project and the ongoing merger. CBBC is the flagship children's TV channel from the BBC in the United Kingdom, aimed at children aged 6-12. Today, the channel launched a radically different new look. The new look was created by TV branding agency Red Bee, who were also behind the previous look. At the centre of the new look is a colourful new logo that spells out 'CBBC' in abstract letterforms. According to a tweet from Red Bee, the new logo "evokes the bold and vivid imagination of CBBC's audience in a multiscreen world". C by GE is a new brand used for two smart LED lightbulbs from GE. They are designed to be easily adjusted through a smartphone app and use LED technology to change colour depending on the time of day. The new brand was created by Red Antler in collaboration with GE. This included everything from naming and packaging. According to Red Antler, the brand is built on "a foundation of iconic ease, simplicity, and joy". It is also designed by feel fresh and different in the light bulb category by being warm and honest. Principal is an American asset management company with 15,000 employees that help manage investments for clients around the world. It was known as Principal Financial Group until yesterday, March 9, when the name was shortened and a new look was introduced. The new visual identity was developed by New York-based Lippincott. The company's history stretches back to 1879 with the establishment of the Bankers Life Association. It was known as Bankers Life until 1985 when the name Principal Financial Group was adopted, along with the now replaced logo. The people at Principal see themselves as caring about people by managing their investments and their future. This jarred with the old logo which was a bit old-fashioned and institutional. Lippincott developed a softer and more humanistic logo with a stylised double-P to better convey how the company wanted to portray itself. In applications, the new look uses bright and varied colours that further emphasise this friendliness. Budapest is the capital city of Hungary. Last week, on March 4, the mayor revealed a new logo as part of a larger identity programme. The logo itself is in essence a refreshed version of its predecessor. It features a streamlined version of the city's coat of arms in simplified heraldic colours and was described as "modern and timeless" at its launch. BRA is a new Swedish domestic airline, formed in late February through the merger of three smaller ones, Malmö Aviation, Sverigeflyg and Braathen, operating under eight different brands. The name they've chosen, Bra, means "good" in Swedish. The new identity was developed by Stockholm-based agency Grow. The visual expression was inspired by the look of subway maps, where different lines are shown in different colours. These lines are shown on the air plane tailfins, which is the distinctive part of the livery and also the airline's symbol. The Helsinki City Museum is a cultural and historical museum about the inhabitants of Helsinki, the capital of Finland. Its main building is undergoing renovation, but will reopen in May. On February 2, the museum launched a new visual identity ahead of this reopening. It was designed by local agency Werklig. The teaser material released so far features the logo, a heart combined with a capital H and the slogan "Fall in love with Helsinki", hinting at how the museum wants to forge an emotive relationship with its visitors. The typography is custom-made. 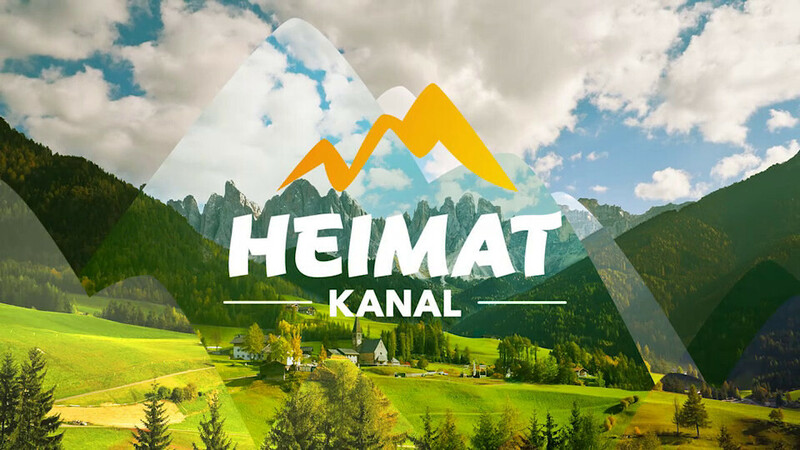 Heimatkanal is a German pay television channel devoted to so-called Heimatfilme ("homeland movies"), a particular genre of films that take place in rural parts of Austria, Switzerland and southern Germany. The channel also airs TV series in the same genre and German folk music. Like much of the content it shows, the channel's visual identity had been fairly conservative and idealised. That changed somewhat last autumn, when a new look and logo was adopted, created by design agency DMC. DMC wanted to preserve the channel's family-friendly image, but also redefine Heimatfilm to be more contemporary. The new logo is more restrained than its predecessor and the overall look is supposed to feel modern and energetic. UTV Media was a UK media company based in Belfast that owned Northern Ireland's most popular commercial television station UTV, national radio network TalkSport, a bunch of local radio stations and a new Irish channel called UTV Ireland. Following economic troubles, they decided to sell their television subsidiary, including the UTV name, to ITV, Britain's leading commercial network. As a result, UTV Media needed a new name. Yesterday, they revealed that the company would change its name to Wireless Group plc. They also launched a new company logo. The new name had previously been used by another company (The Wireless Group) which UTV had bought in 2005.